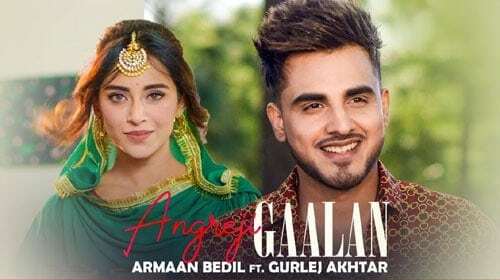 Angreji Gaalan Lyrics is the latest Punjabi Song sung by the singer Armaan Bedil, Surinder Shinda & Gurlej Akhtar. The music of this song has been given by Music Empire while Angreji Gaalan Lyrics is penned by Joban Cheema. Listen to the song Angreji Gaalan on Saavn.